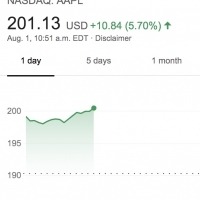 AAPL has opened at $144 today on the stock market, with share prices sliding roughly nine percent after Apple lowered its revenue guidance by up to $9 billion for the first quarter of its 2019 fiscal year. AAPL is down just over 35 percent since closing at $222.22 on November 1, just prior to its last earnings report. 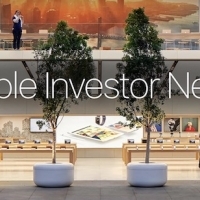 In a letter to shareholders on Wednesday, Apple disclosed that its revenue will be lower than its original guidance for the first quarter of its 2019 fiscal year, coming in at approximately $84 billion. 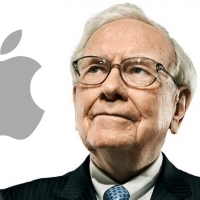 Apple originally guided for revenue of $89 billion to $93 billion in the quarter on November 1. 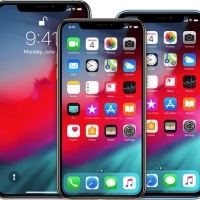 The letter said lower than anticipated iPhone revenue, primarily in Greater China, accounts for the entire revenue shortfall. 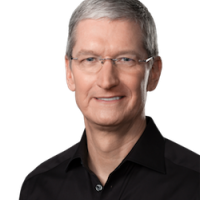 In an internal memo, Apple CEO Tim Cook said he will host an all-hands meeting with employees today at 9:30 a.m. Pacific Time at Apple's Town Hall auditorium on its Infinite Loop campus to answer questions about the shortfall. 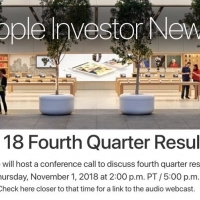 AAPL was already dragged down by Apple's recent announcement that it will no longer disclose iPhone, iPad, and Mac unit sales starting with its next quarterly earnings report. 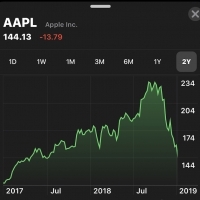 The move sparked fears among some investors and analysts that Apple had something to hide, particularly regarding slowing iPhone sales. 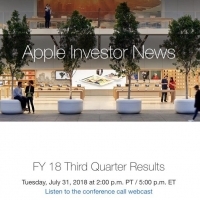 Apple yesterday announced that it will report its earnings for the first quarter of its 2019 fiscal year on January 29. 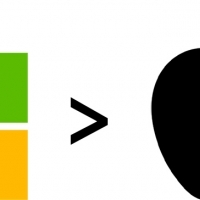 Microsoft today surpassed Apple to become the world's most valuable publicly traded company as a result of Apple's continually declining share price, reports Business Insider. 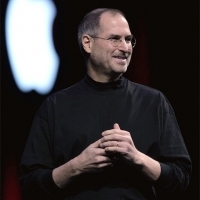 Microsoft has reached a market capitalization of approximately $814 billion, while Apple's is now slightly less. 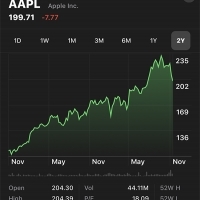 Apple earlier this year became the world's only trillion dollar publicly traded company, but it lost that status in November and its market cap has steadily declined since then over concerns of weak iPhone sales and its announcement that it will no longer share iPhone, iPad, and Mac sales on a unit basis. According to Bloomberg, Microsoft's market cap has not previously matched Apple's since mid-2010, eight years ago. Microsoft's growing cloud business and strong PC sales made Microsoft one of the few tech companies to grow in value following its September quarter earnings results. 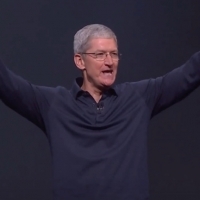 Apple's valuation, meanwhile, has fallen more than 20 percent since its own earnings results. 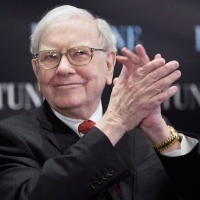 Microsoft shares hit a high of $105.94 in intra-day trading, while Apple's have dropped to a low of $170.27. 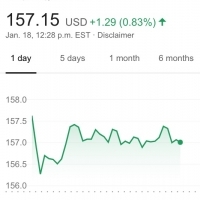 As stock prices fluctuate, Microsoft and Apple are now competing for the most valuable company title with the lead company shifting back and forth.